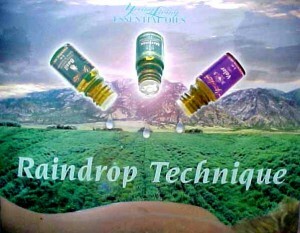 Raindrop technique is a sequence of anointing with oils and laying on of hands that brings structural and electrical aliment to the body in a relaxing and invigorating manner through the power of essential oils. Most of the oils used are high in phenolic content to ward off potentially damaging viruses and bacteria while cleansing cell or receptor sites to enhance intra- and inter-cellular communication and improve overall bodily function. 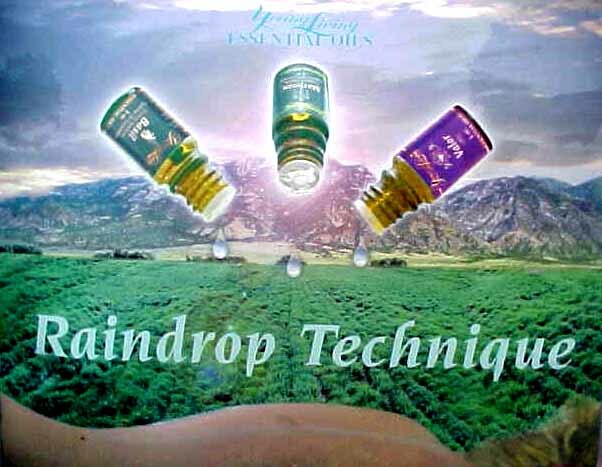 Some raindrop oils contain a variety of monoterpenes and sesquiterpenes to assist ion deleting misinformation in the DNA and in reprogramming correct information in cellular memory to restore and maintain physical and emotional wellness. Young Living Essential Oils are used in certain orders to drain lymph nodes along spine, and boost immune and nervous system functions. This helps decompress your spine while relaxing muscles and rebooting all cells. Valor: help restore balance to the nervous and limbic systems, enhances ones feelings of confidence, courage, and self-esteem. Oregano: one of the most powerful antimicrobial essential oils; demonstrates a 99% kill rate against in vitro colonies of Streptococcus Pneumonia. Thyme: antiseptic, immune enhancing, supportive of body’s natural defenses; has been used to combat the bacterium that causes anthrax. Marjoram: relaxing both involuntary and voluntary muscles; soothing to nerves; used for migraines; is antiseptic and antimicrobial. Cypress: antimicrobial; stimulates the body’s own natural white corpuscle production which may assist in restoring proper cellular programming to restore health and maintain wellness; supportive of the circulatory and lymphatic systems. Peppermint: supports digestive, nervous and respiratory systems; detoxifying to the liver; improves concentration and mental fatigue. 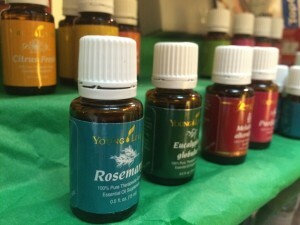 Aroma Siez: calming relaxing and relieves muscles tension and spasms. 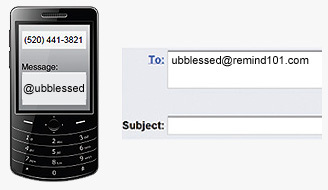 Physical and spiritual healing! You have helped me more than words and say!